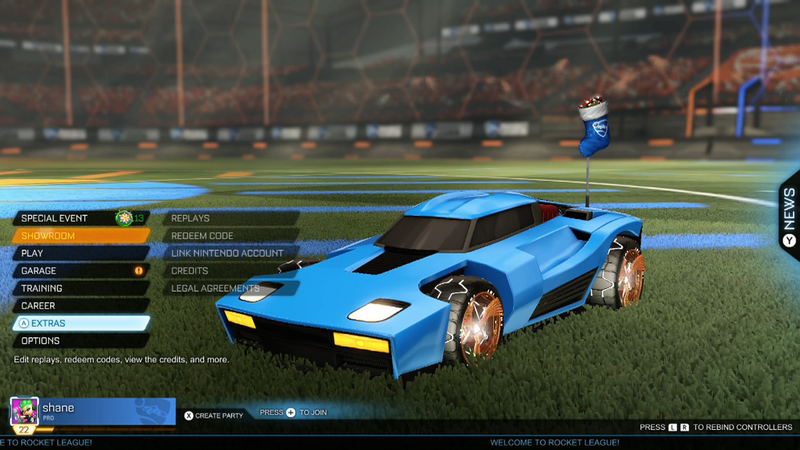 If you are playing Rocket League on Nintendo Switch and would like to collect Fan Rewards by enjoying select live streams on Twitch, all you need to do first is link the respective accounts as instructed below. 2. Select the “Link Nintendo Account” in the 'Extras' menu. 3. 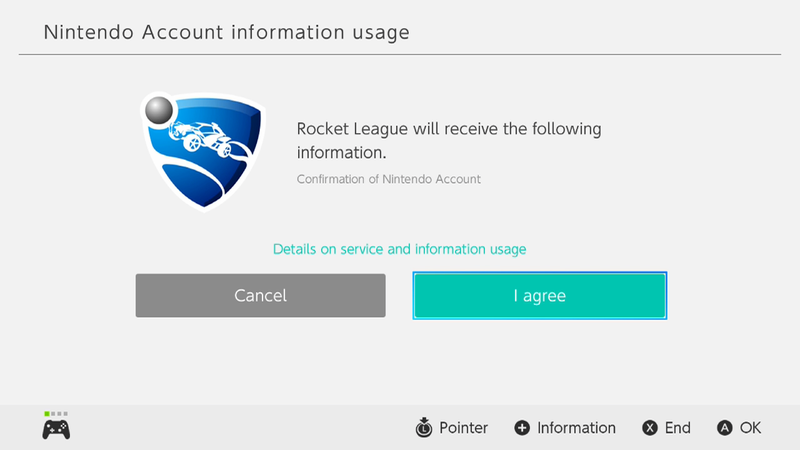 Authorize Rocket League to use your Nintendo Account. Follow the prompts on the website and once you’re done it’s onto the final steps for Fan Rewards! 4. Once the account has been successfully linked, the following message will be displayed in-game: "SUCCESS. Your accounts are now linked." 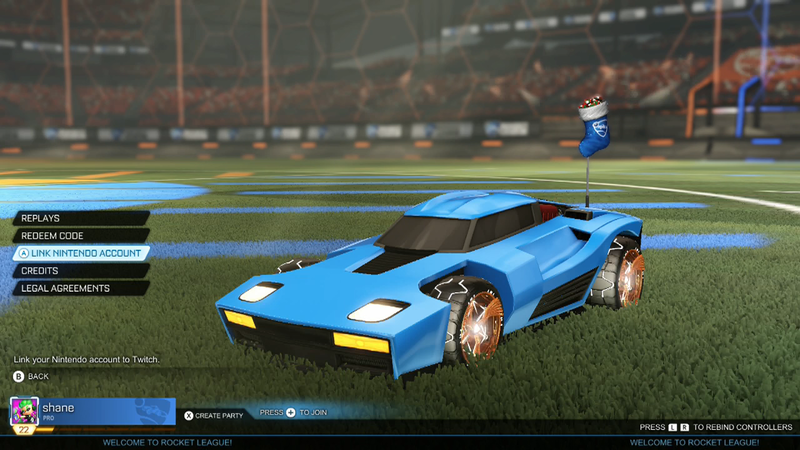 Once you’ve authorized your Nintendo Switch account to use Rocket League, head over to the Fan Rewards website. Log in with your Twitch account. Select Nintendo Switch and authenticate with your Nintendo account. If the accounts have been successfully linked, you should see the name of the linked account accompanied by the Switch logo. 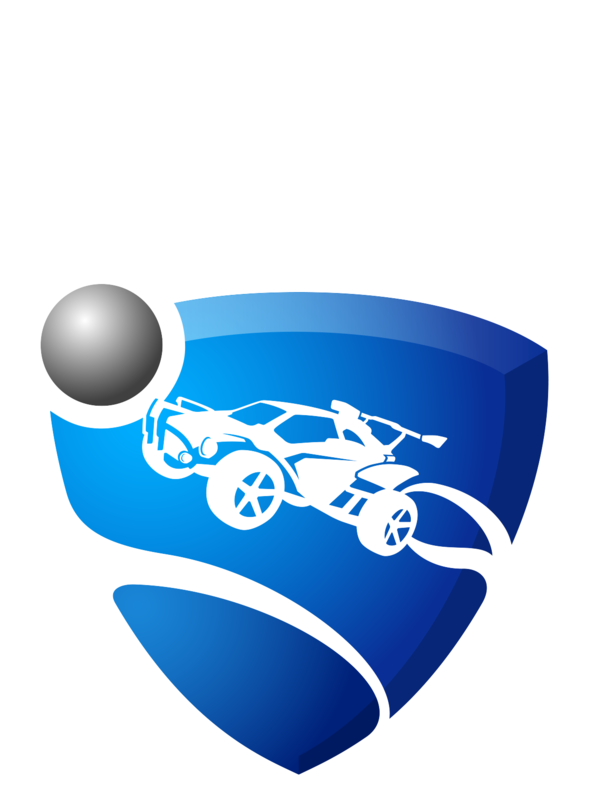 Once completed, tune in to the select live broadcasts on twitch.tv/rocketleague to start earning rewards for your Nintendo Switch Rocket League account!